Craig Woods is a member of Dykema’s Dental Service Organizations Group with a focus on transactional matters, regulatory investigations and dispute resolution. He has considerable experience advising DSOs, MSOs, large practice groups, dentists and other health care providers in various corporate and regulatory matters, including the purchase and sale of companies and assets, forming regulatory compliant DSO structures, private equity investments, the negotiation of key commercial business agreements, and establishing equity incentive options for key employees. Peer-recognized as one of the top attorneys in Texas, Craig has substantial experience in complex commercial, business and health care law where he has advised and represented Fortune 500 and industry-leading dental, medical and health care companies. Craig is also an experienced litigator who draws extensively from his background in accounting and finance to craft unique solutions to complex legal issues. He has a national practice that is devoted to developing and executing innovative strategies and solutions across a broad range of matters, including contractual disputes, breach of fiduciary duty, theft of trade secrets, unfair competition, covenants not to compete, injunctive actions, fraud and deceptive trade practices, products liability litigation, medical device litigation, financial services litigation and complex business litigation in venues across the country. 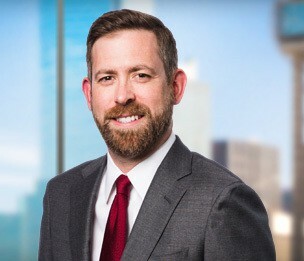 In addition to handling individual claims, Craig also has experience litigating disputes in the context of class action lawsuits. As a result, over the past several years he has had the privilege of representing the interests of businesses and individuals in numerous states and federal districts in both trial and arbitration. By concentrating on his clients’ individual needs, Craig has created a value-based practice that emphasizes creative and cost-effective methods for each engagement. He focuses on building long-term partnerships with each client and has extensive experience with alternative fee arrangements, which he tailors to fit the unique business goals of each client. Because of his experience and training, clients and colleagues trust Craig with their most complex and important legal issues. Served as lead plaintiff counsel in bench trial in Dallas County and obtained verdict on breach of contract and indemnification claims, resulting in significant award of damages and attorney’s fees. Served as co-lead defense counsel in two-day bench trial in state court in San Jose California, which included direct and cross examination of witnesses, presentation of closing argument, development and presentation of evidence, and significant pretrial briefing and preparation of case. Served as plaintiff counsel in one week arbitration in Salt Lake City, Utah, which included significant pre- and post-hearing briefing, preparation of witnesses and evidence, development of claims and defenses, and development of damage models. Served as defense counsel in one week arbitration in Orlando, Florida and obtained a favorable award for client representing a recovery of less than 1% of amount originally sought. Served as second chair in publicized injunction hearing involving claims of inverse condemnation in federal court in Fort Worth, Texas, which included cross examination of witnesses and preparation of extensive briefing and argument. Represented large regional bank in multimillion-dollar dispute against borrowers involving repayment of loan proceeds and claims for fraudulent transfer, breach of contract and veil piercing. Represented one of the largest health care systems in the United States and industry leading hospital capital company in highly publicized business divorce dispute involving acquisition and management of community hospital. Represented industry recognized leader and innovator in infertility treatments and genetics in dispute involving wrongful life and wrongful birth claims brought by patient. Represented global manufacturer of heating and cooling systems in construction dispute involving product defect and warranty claims and successfully obtained favorable settlement for client. Represented leading international manufacturer of decorating and baking supplies in dispute with distributor. Represented mortgage loan servicer against various borrower claims and obtained complete dismissal of all claims with an award of attorney’s fees after substantial briefing and oral argument. Represented world leading medical device manufacturer in personal injury litigation involving device defect claims related to spinal implant. Represented global eye care company in personal injury litigation related to ocular implant device and secured complete dismissal of all claims on summary judgment based on federal preemption. Represented industry leading manufacturer of reconstructive orthopedic products in multiple matters involving product defect and device-related claims. Represented global medical device manufacturer against product liability claims in jurisdictions throughout the country related to surgical mesh devices. Obtained a verdict on behalf of major loan servicer in a case involving breach of contractual indemnification provisions. Represented nationally-recognized restaurant chain in dispute with customers alleging personal injury and damages from contaminated food and beverage products. Represented multiple leading mortgage servicing clients in numerous cases involving claims for wrongful foreclosure, debt collection practices, deceptive trade practices and other claims related to servicing of mortgage instruments. In most instances, these cases have been quickly resolved on dismissal, summary judgment or favorable settlement terms. Represented property developer in dispute with city regarding ordinance violations at large apartment complex. Represented major real estate brokerage firm in highly publicized federal lawsuit against municipality involving, among other things, various claims under the Fourth, Fifth and Fourteenth Amendments of the U.S. Constitution and claims for inverse condemnation and injunctive relief resulting in favorable concessions from municipality. Represented industry-leading mortgage servicers and banks in highly-publicized multimillion-dollar repurchase litigation, investor disputes, internal investigations, and defense of borrower disputes stemming from financial crisis. Represented leading luxury goods and fine jewelry retailer against breach of contract and tortious interference claims in federal court resulting in dismissal of all claims. Represented developer of popular subscription based online services by aggressively prosecuting claims against former employee for, among other things, theft of trade secrets, copyright infringement, unfair competition, and violations of the Computer Fraud and Abuse Act. Represented leader in the establishment and enforcement of red light camera programs by successfully counseling, guiding and defending client in class action lawsuit in the Eastern District of Texas and obtaining complete dismissal of lawsuit after significant briefing. Represented worldwide developer of semiconductor technologies in highly-publicized products liability and warranties related dispute arising from mass product recall and secured favorable settlement for client. Represented client against world’s largest collectibles auctioneer in dispute involving authentication of memorabilia previously owned by world famous sports figure. Represented major manufacturer of residential and commercial temperature control units in litigation against subcomponent supplier involving claims for breach of contract, breach of warranty, negligence and negligent misrepresentation and secured favorable settlement on behalf of client. Represented global leader in high-tech electronics manufacturing and digital media in dispute involving claims of gender discrimination. Successfully represented surety company in connection with complex construction defect litigation arising out of failure of several gas processing plants in Louisiana. After a five-month jury trial, obtained favorable multimillion-dollar jury verdicts in favor of surety client and contractor on various breach of contract, quasi-contract, and tort claims, including punitive damages in favor of insurance company client. This verdict was named as the second most significant jury verdict for 2006 by the publication Verdict Search. Represented restaurant franchisee against one of the largest restaurant operators and franchisors in the world in arbitration proceedings in Utah involving dispute over exclusive area development rights. Represented major worldwide wholesaler in class action litigation involving claims brought under the Fair Labor Standard Act and obtained decertification of class following substantive stage two decertification briefing. Represented restaurant franchisor in lawsuit in California state court involving claims for breach of franchise agreement. Zealously defended major shipping and hauling company against various gender discrimination and sexual harassment complaints and investigations conducted by the Equal Employment Opportunity Commission. Represented major marketer and retailer of nutritional products against claims for misappropriation of name or likeness in federal court and successfully obtained dismissal of lawsuit following significant briefing. Represented leading medical device manufacturer and developer in multidistrict litigation involving product defect and warranty claims. Represented leading beauty products retailer and services provider in action relating to the applicability and enforceability of contractual indemnity and contribution agreements. "The United States - Chile Free Trade Agreement: Will It Stop Intellectual Property Piracy or Will American Producers Be Forced to Walk the Plank?"